Do Red Light Cameras Really Mean Green for the City? If you run a red light at one of 32 intersections equipped with photo-enforcement cameras you'll get a $466 ticket. Just ask pest control company owner Juan Trujillo, who makes his living driving around. He got popped six months ago. "The letter was very threatening, and they were saying they were going to suspend my license if I didn't pay for it, and I was afraid to lose my job at the time. So, as a citizen I didn't have any other choice. I paid the ticket," says Trujillo. But unlike Trujillo, many people have decided not to pay their red light camera ticket -- 56,000 of them. About 45 percent of all the tickets issued have gone unresolved since 2006, with no punishment. Chief Beck of the LAPD supports the use of red light cameras, despite a recent report from the City Controller that found cameras have not been installed at dangerous intersections, and that the program has lost $2.5 million over the last two years. "The person can simply ignore the citation from a photo red light today in its present form, and the consequence is that the court will, working with a billing agency, send them a letter that demands payment. 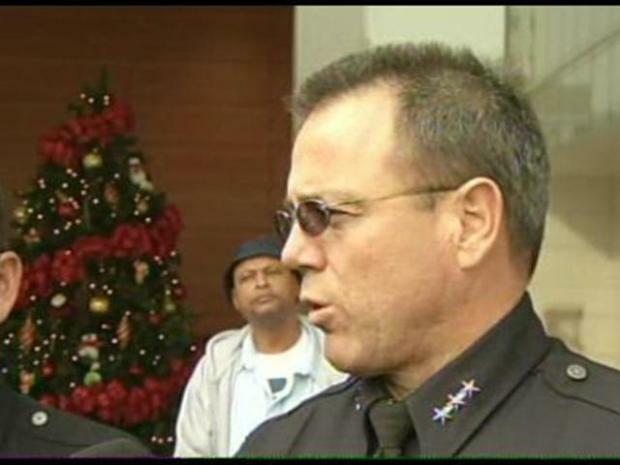 If that letter is also ignored, the consequence of that is nothing," said Assistant LAPD Chief Mike Moore. It cost the Los Angeles $3.9 million annually to run its red light camera program. However, over the past two years, the city has lost $2.5 million. Despite the red light camera drain on the city coffers, on Tuesday the LA Police Commission voted unanimously to recommend their continued use. They say police department safety records are more important than money. "These same 32 intersections have a 63 percent reduction in traffic collisions since this programs inception. Those far out pace traffic safety at other intersections across the city," said Moore. Still, other people are stunned that there is no teeth to LA's photo enforcement. "I could have saved myself 500 bucks, but I think I did the right thing," said Michelle Daricek, who paid her red light ticket.